Agriculture and construction are amongst the 7 industries that most commonly hire illegal immigrants, likely to the surprise of few. The immigrant population in the U.S accounts for 17% of its overall workforce, while illegal immigrants (8 million in 2014) form around 5% of the workforce. The agriculture industry is the top illegal immigrant employer, with 17% of its workforce comprised of unauthorized immigrants, while the transportation and utilities industries are at the bottom of the list with less than 6% of their workforces made up of illegal immigrants. The distribution of immigrants in industries varies from one state to another, but it is interesting to note that the 7 industries that most commonly hire illegal immigrants have strong footholds in some states; for example, the illegal immigrants being employed by the agriculture industry in Idaho make up a large percentage of that state’s illegal workforce. In 2014, an estimated 11.1 million unauthorized immigrants lived in the U.S according to the Pew Research Center. The immigrant population as a whole increased to 42.2 million in 2014 from just 9.7 million in 1960. A majority of the illegal population lives in California, Florida, Illinois, New Jersey, New York, and Texas. These six states are home to 59% of the illegal immigrants in the country. For further related reading, you’ll also want to check out our list of The Top 10 US States Invaded By Illegal Immigrants. U.S. President Donald Trump holds a strong view against unauthorized immigration. During his Presidential campaign, Trump voiced his concerns against illegal immigration and has famously vowed to build a massive wall along the United States-Mexico border, to prevent illegal aliens from stepping onto American soil. Trump has also proposed a merit-based immigration system and mass deportation of illegal immigrants. However, mass deportation of immigrants could lead to both economic and fiscal damage to the U.S economy. According to a report from the Center for American Progress, the federal government could incur $900 billion in revenue losses over the next decade in the event of a mass deportation of illegals. 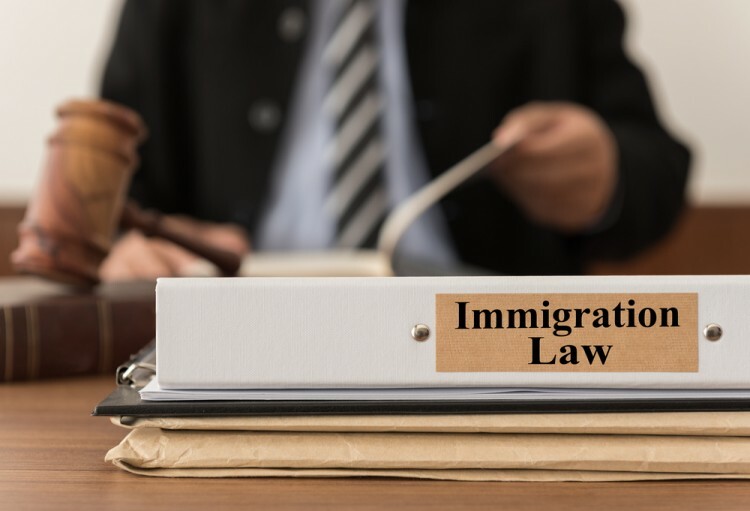 According to another study by the Institute on Taxation and Economic Policy, illegal immigrants contribute billions of dollars in taxes, which would be lost as a result of an unfavorable immigration policy. Though they migrate illegally into the U.S, unauthorized immigrants help spur the growth of the U.S economy. U.S agriculture is highly dependent on unauthorized immigrants and illegal aliens in general tend to work jobs which require low-skilled labor due to educational and legal barriers, jobs which aren’t in very high demand among the more skilled and educated pool of Americans. Over the next few pages you will read about the industries that most commonly hire illegal immigrants. The list is inspired by the findings of the Pew Research Center, which conducts public opinion polling and demographic research. The industries are ranked based on the percentage of their workforces that are estimated to be illegal aliens as of 2014. We’ll also list the largest U.S employer in each industry as of 2015, which are affected by illegal immigrants directly (through either them or their suppliers/subcontractors employing some of them) or indirectly (primarily due to illegal immigrant workers keeping wages and costs artificially lower across each industry). And now, let’s see our list of industries that most commonly hire illegal immigrants. Johnson & Johnson (JNJ): The Best Stock For Long Term Investors Access For Reversal Drug For Opioid Overdose Expanded By CVS Health Corp (CVS... Here’s What’s Moving Immunomedics, Inc. (IMMU) And Ocera Therapeutics... Honeywell International Inc. (HON) Beats General Electric Company (GE) On The... German Court Rules In Favor Of Boston Scientific Corporation (BSX) In Patent... Is Advanced Micro Devices (AMD) a Good Investment?